Oral-B Pro Expert Deep Clean Toothpaste developed with Oral-B experts uses dissolving microparticles active on surface stains for an outstanding deep clean you can feel. 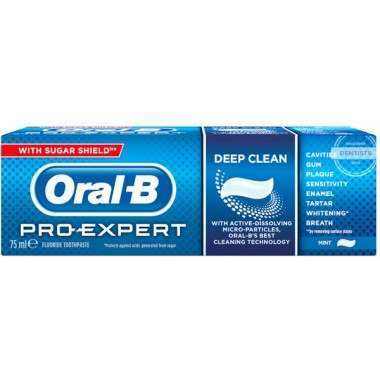 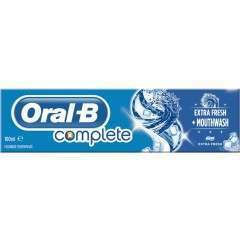 It delivers a unique cleaning sensation and has up to 5x smaller microbeads than regular Oral-B Pro-Expert toothpaste. 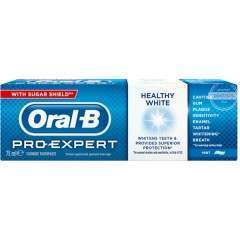 It contains Stannous Fluoride Complex, a unique combination of ingredients .It targets and protects against the issues it finds in your mouth: cavities, plaque, gum problems, sensitivity, stains, bad breath, tartar and enamel erosion.